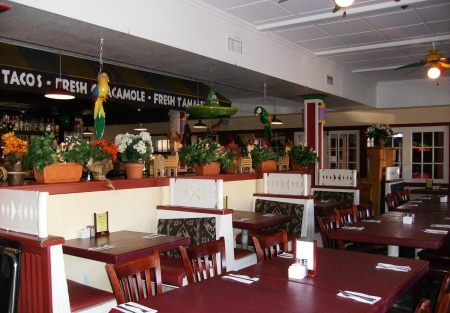 This full service Mexican Restaurant has been established for 18 years, current owners have been here 7 years and still going strong. With kids growing up and going in their own direction owner says its time to move on too. So here you have years of success. Located on the corner of 2 busy streets with high visability to street traffic and thousands of cars drving by each day. This restaurant has a great reputation in the area for their food and atmosphere, with live bands on Friday nights for dancing and listening enjoyment. There is a large patio/banquet room that can seat over 100 people which is great for weddings, birthdays or any occassion as well as business meetings. Restaurant has good parking avaliable for convience of guests. Located only couple blocks from the beach this is a good stop after a day in the sun. Lease expires in 2017 plus 5 year option. Let's ask the landlord for more options! The owner claims the restaurant has the volume to substantiate the price. But you need to do your complete due diligence to prove it. For pictures, name and address go to the "Sign NDA" tab below and let your quest begin.